The conference started pretty good for me. A day before the official opening, it was my birthday. Since we were working for the conference, I had my cake at the conference. I was one of the volunteers. I was at press room (and charging point). I was responsible for spam…sorry inform our social networks about the conference and presentations. I was lucky because I could watch almost all presentations. Thank you Kostas for let me do that Unfortunately I don’t have a clue about social network metrics. My friend zoumpis will do that (at least, that’s what he told me). Other than that, I helped a day at GNOME booth (well, I kind of moved the press room at the booth). I was happy that I met Tomáš Čech and watched his presentation about E17. Although I met him in Prague, I didn’t think that I can join the Enlightenment team in openSUSE (since I use GNOME). After few mails, we manage to organize the team with Portal, social networks and lately E17 should be available as option in openSUSE installer. 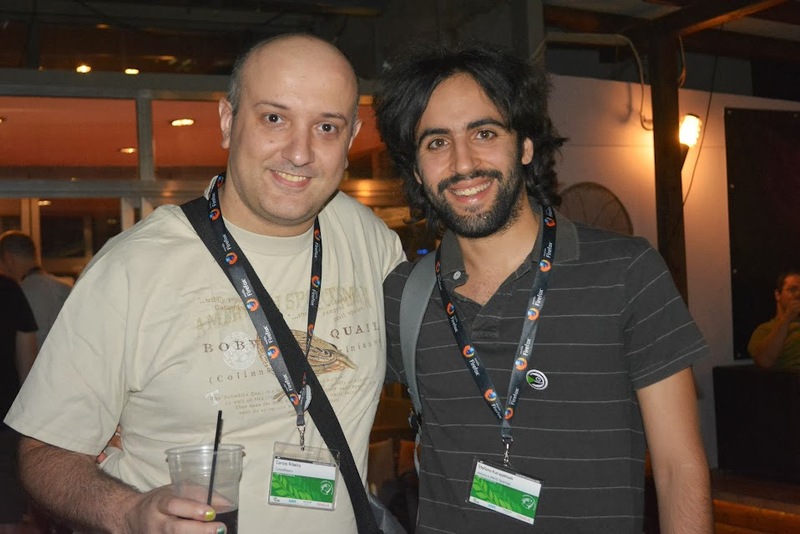 I was also happy that I met Stefano Karapetsas (watch his presentation about MATE). We started the same approach with Portal and social newtorks. The goal is MATE to be included in 13.1. The team is working to do that. Of cource we had a lot of fun (during our parties). You can check some pictures here. @opensuseconf (or other official openSUSE channel) will announce where you can find all the pictures from the conference. Temporary, you can find some on Facebook (openSUSE Greek Fans) or Google +. Have a lot of phun!! !